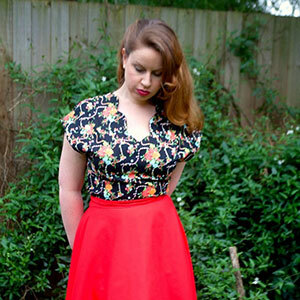 Mae is a romantic 1940's inspired blouse. Featuring a scalloped front neckline design, kimono sleeves and fitted front and back waist darts for a flattering feminine figure. Mae is a versatile and easily adaptable blouse that is wearable in all seasons, suitable to a variety of fabrics, able to be worn tucked in or out and is ready to take you from day to night. 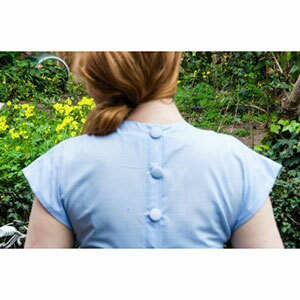 A button down back finishes off this lovely blouse. This pattern comes with sizes 4 through 18. Bluegingerdoll patterns are designed on a D cup. 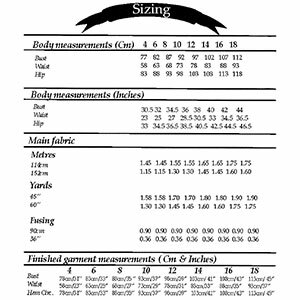 Suggested fabrics are light to medium weight wovens such as crepe de chine, rayon challis or peach skin. For a different look and feel try a stable knit such as ponte de roma or cotton lycra.